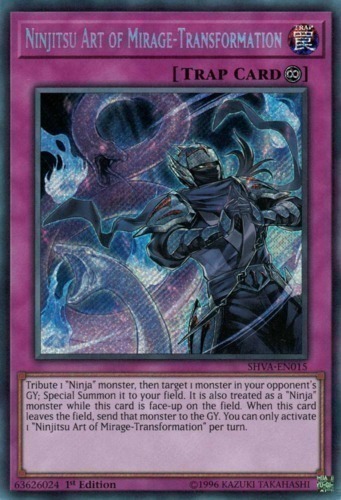 Tribute 1 "Ninja" monster, then target 1 monster in your opponent's GY; Special Summon it to your field. It is also treated as a "Ninja" monster while this card is face-up on the field. When this card leaves the field, send that monster to the GY. You can only activate 1 "Ninjitsu Art of Mirage-Transformation" per turn.